Maybe you’re the type of person who agonizes over giving someone the perfect Christmas gift. It has to be meaningful, but practical. Unique, yet useful. You can do both! 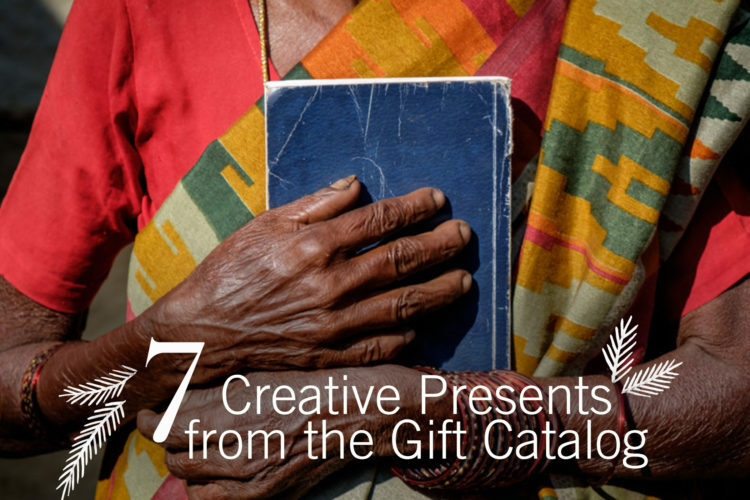 With these seven creative gift pairings inspired by the BGR Christmas Gift Catalog, you can honor your loved ones by purchasing a gift that also makes life better for someone in need. Clean water is an essential commodity for survival. Whether you know an athlete or a hydration enthusiast, they’ll love taking a crisp drink from their water bottle throughout the day. Every time they do, they’ll remember the family that has clean water for the first time thanks to the water filter you sent in their honor. For a refugee family fleeing violence or persecution, finding food is a priority. Imagine their excitement when they open a food box you sent them and find some of their favorite foods—enough to last them for a month! It’ll be the same excitement your loved one feels when their meal delivery arrives. As they sift through the contents, they’ll think of all the families who rely on deliveries like these as they strive for a better life. Sewing isn’t just a skill mastered by your mother. Women around the world have found sewing is a viable way to provide for their families when other work options are limited. Watch your loved one open the outfit you picked out for them. When they try it on, tell them the sewing kit you sent in their honor will help a woman in poverty create beautiful clothes and crafts they can sell for a living. Send a container of formula, give a container of formula! Some mothers are so malnourished, they can’t feed their children and rely on formula to keep their infants alive. The bottle-feeding mother you know will thank you for a break in her grocery bill. Then, as she’s rocking and feeding her child, she’ll smile to think of another mother in the world grateful to do the same. Your kids probably come home from school and ask, “What’s for dinner?” the way most kids do. $3.50 gives a child who would otherwise go hungry an answer to that question. A gift card lets your loved one splurge for a nice dinner with their family. Ask them, as they give thanks for the meal, to pray for the child who can look forward to one more week of delicious and healthy food. A cooking set is a simple comfort to the parent whose life has just been thrown into disarray by a disaster. The dignity of providing a meal for their family gives hope and a sense of normalcy, even if just for a moment. As they’re tossing ingredients into the pan you gave them, the foodie in your life will be reminded that another family is gathering around their cooking set to share a meal as well. When winter soil starts to thaw, farmers around the world will begin planning their gardens—crops they hope will produce healthy food they can eat and sell. A gift of starter seeds helps a farmer new to the gardening game, or one whose last crops were wiped out by a disaster. As your loved one watches their herbs grow, they can pray that the crops of struggling farmers are growing too. Check out the Christmas Gift Catalog for five more creative gift ideas this giving season! 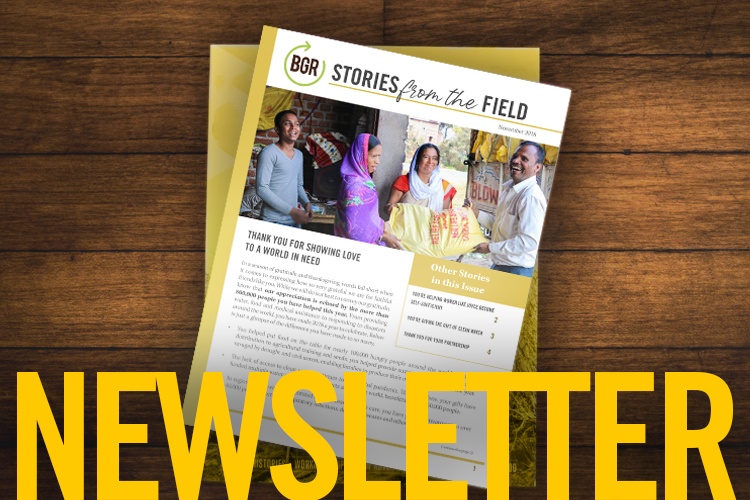 Give a gift from the BGR Gift catalog and print a Christmas card from the BGR website. Buy the gift pairing from your favorite store. Wrap the gift and attach the BGR card to let your loved one know about the special gift given in their honor.